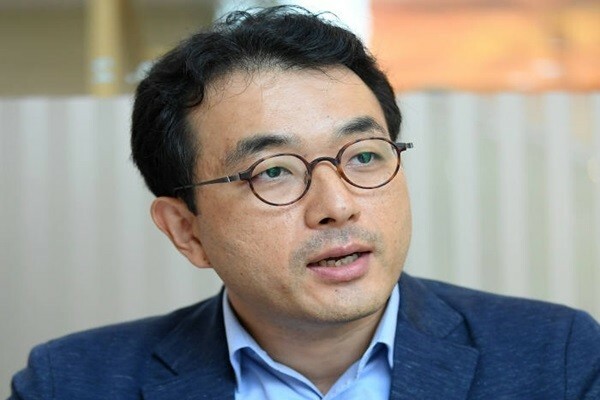 Professor Lee Hyo-chan of KCB (Korea Credit Bureau) Research Institute is currently researching into ways of applying blockchain technology. Although his research is still in an initial phase, his plan is to enhance personal identification and credit rating service through blockchain technology just like an American company called Bloom Protocol. However, he is expecting that it will take some time to commercialize his research results. He looked at possibilities of using blockchain and cryptocurrency for settlement-based payment markets negatively. However, he is predicting that ICO (Initial Coin Offering) markets will become catalysts that will provide synergy to startups and others. He emphasized that an environment where there are guidelines that can properly operate private systems and where financial authorities supplement their systems must be accompanied. KCB, which is the largest credit rating company in South Korea, is also looking into ways of applying blockchain technology to diversify its services. Its research institute has started relevant research while benchmarking a model from an American credit rating company. KCB has also started relevant research to commercialize a similar business model. He emphasized that there need to be comprehensive cryptocurrency exchanges that can be trustworthy just like South Korean stock exchanges. He explained that his goal is to create a financial system that can be more trustworthy and used more conveniently by people in South Korea.